Let’s use our Google Earth app to swirl in on the Suffolk of the 1820’s, visit the English countryside and watch what is happening at a local manor house. We see that the Viscount is in fading health, but still retains his good business sense. His wife spends her days entertaining at teas and flirting with the other gentry. They appear to have a dreadful relationship. Their niece Thea is a Titian-haired beauty, with a red head’s temper who has suffered at love and fears her chances of marriage are fading because she is looking for true love, and not a cad or chancer who wants her fortune. Neighbor Harriet is her best friend and even though Harriet is older, she retains a refreshing and eager spirit and attitude, especially where comely men are involved. Life drifts on until one day Thea and Harriet see a wonderful specimen of a man cavorting naked in a brook. Yes, Author Virginia Heath has created a charming comedy of manners book or perhaps a country house novel that satirizes the manners and affectations of society and questions societal standards. This book is the third in her King’s Elite miniseries. What is a comedy of manners? Well, a comedy of manners features a plot, which usually centers on some scandal, mixed with witty dialogue and sharp social commentary. And in this story, the author is quite talented at creating the wittiest and sharpest of dialogue, especially between Lord Gray and Thea as they recover from the brook incident and go on to build a friendship. A friendship which also includes Trevor, Lord Gray’s amiable young dog. Lord Gray is smitten with Thea but faces a challenge as he tries to tame her. He is mostly to blame. He has a blotted past and he also has a secret. He is not simply a neighbor’s cousin come to visit and stay at a nearby house. He has waited two years to head an important mission. 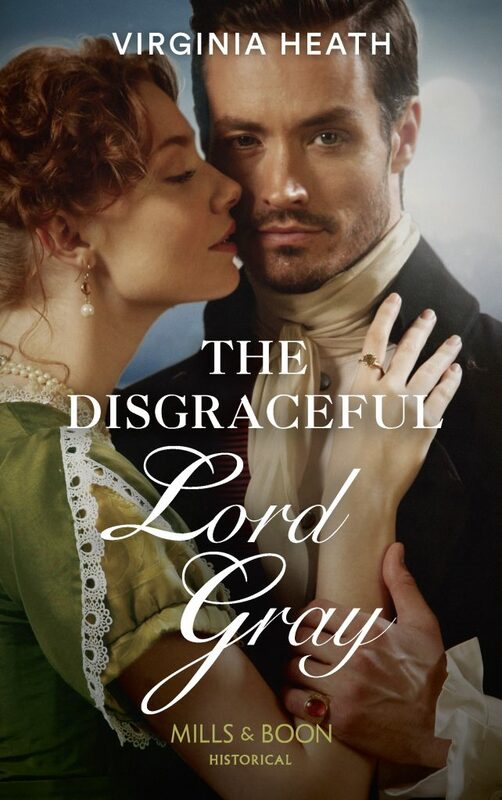 This book series is very popular and if you are a fan, you will be delighted with the handsome and winsome Lord Gray and the endearing Thea. The dialogue and conversation is so well done, with delightful sharp retorts and ripostes. If this is your cup of tea, there is a good book about a manor house in Suffolk waiting for you. Thank you to Rachel’s Random Resources for a review copy. This is my honest review.